Free is always great, right? Especially when it comes to FREE things to do in LONDON! In my London travels, I’ve always appreciated the free things there are to do in a city where my dollar doesn’t go as far as I’d like. If you’re looking to have a fun time AND save a buck, then please enjoy these suggestions! 1. Visit a museum. London has some of the best museums. My favorite is The British Museum. It was even fun for my kids! It houses the Rosetta Stone and real live mummies as well as so much more! If you’re looking for educational, the Science Museum and Natural History Museum are also great. If you’re looking for art, try the V&A. 2. Go geocaching. 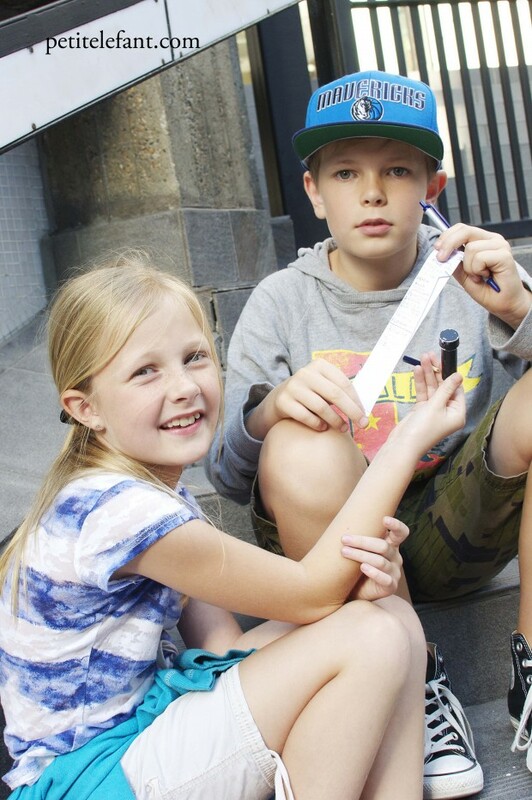 The last time we were in London, we tried this geocaching thing that I’d heard so much about. We were newbies at it doing it in a city that we didn’t know super well. It’s such a great way to explore! For those of you who don’t know what geocaching is, it’s basically like a huge online hide-and-go-seek scavenger hunt. People hide little caches, literally, all over the world and you find them (often via GPS), sign your initials, and put them back for the next person to discover. You’re supposed to be discreet. In a busy city like London, that’s easier said than done. My daughter looked like a spy on a covert mission! 3. Go to a park. One of the things I love about this city is that there are fantastic parks everywhere! If you have kids and the weather is nice, kill a few hours at a park. 4. Watch the changing of the guard. 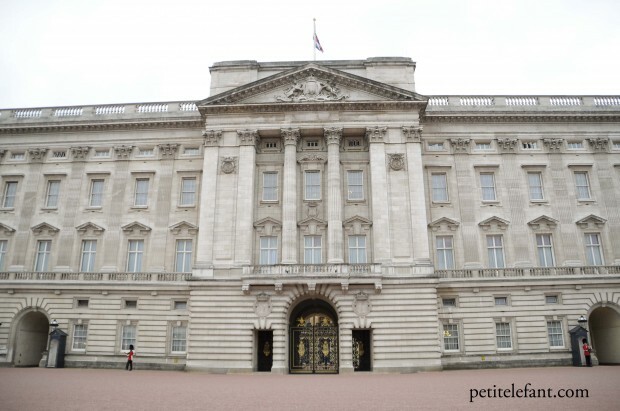 Stand outside the gates of Buckingham Palace to watch the changing of the guard. For those of us who don’t live in a monarchy, this can be quite interesting to watch. Visit the website to double check dates and times. Typically it happens around 11 AM unless there are special situations that arise. Get there early to ensure a good viewing spot. 5. Walk! You can make a whole day of a self-guided walking tour through the streets of London. We did it with two kids in tow. We started at the British Museum and enjoyed a few hours there. From there, we went to Buckingham Palace, then through St. James Park to Westminster Abbey, then we crossed the street to see Big Ben and Parliament and the London Eye. You can easily catch the tube at Westminster to your home destination to rest your tired feet. If walking is not up your alley, the hop on-hop off bus might be of interest to you. 6. Visit the iconic Trafalgar Square. This huge open space in the heart of the city is crawling with people…and pigeons. You can’t go to London and not see it. You can include this on your walking tour as it’s close to Big Ben, or you can make a separate day of it, so you have time to see Nelson’s Column, St. Martin-in-the-Fields, and The National Gallery. 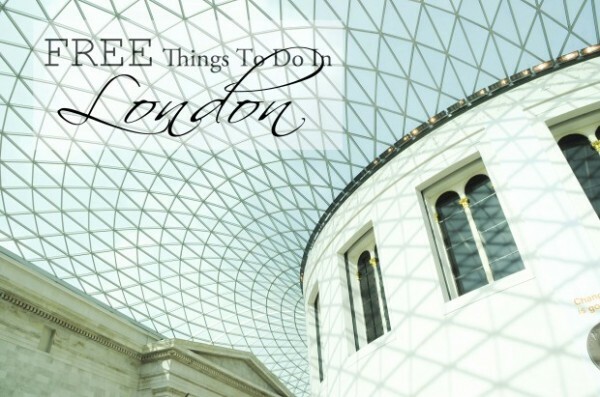 London is full of lots of fun stuff to do. Mixing in the free with the not-so-free means you can enjoy more and make the most out of your visit. If you’ve visited London, what’s your favorite thing to do there? Be sure to check out my tips for foreigners visiting London, so you’re extra prepared! Thanks for the tips! I hope you are having fun!! For enjoy the nightlife you can go to the Club Aquarium, the Blind Beggar Pub, the King’s Head & Eight Bells. As a tourist I had numerous London activities done and enjoyed my trip like Cricket In London, golf, Skating, cycling, Horse Racing. I suggest travellers to plan trips during June, when horse races are at the peak and you can join and enjoy.